Please Note: In regards to lots of unsatisfied customer reviews of TheTruthSpy software, we would not advise you to purchase TheTruthSpy application. 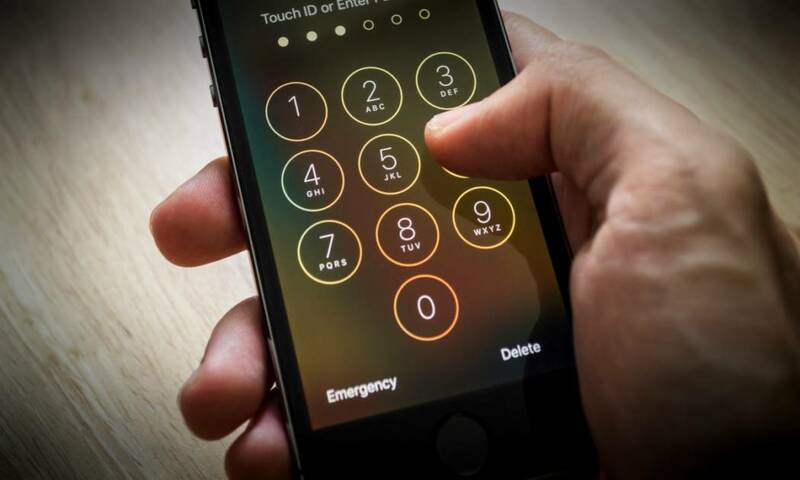 Take a look at the selection of TOP 10 Cell Spy Apps here and find out more about mSpy – the first software from the list. You don’t necessarily need to spy from your phone anonymously: in case your child is living far away, you’ll be able to access its device to find whether everything’s okay. Your device would be able to support those members of your family who experience various health issues. Such app is useful for old people who cannot control their phone all alone. I am not sure when I can get to the target phone. How long after the purchase does one have to download and install? Is there a way to install the software remotely? Good question long time I serch something like this target phone have read line from finger so I can forget someone have idea? Help ? Oh my gosh! I agree 100%, WORST customer service ever. I have had so many issues with this app and never ever received a response to my emails requesting help. I literally pay for the Gold and 90% of the things don’t work! Horrible waste of money and wouldn’t recommend it to anyone. I used this software and it good for basic functions such as: gps, sms, call. And Ambient Voice Recording is good. why you are saying fake? eagerly i will wait for make payment.what your suggestion? RIP OFF!!! Rip off company, they o not respond to, no support service and will not refund your money as stated in their policy. RIPOFF! I bought this service. Customer Service is non-existent! Instructions for using the features is also non-existent. A few of the features are no problem to use. SMS, phone history, contact history & photo history. Phone call recording also works well, except when trying to email or download the information. You’re suppose to be able to select the calls to export. For me that doesn’t work. It exports the data for all calls showing on the page. Then, after downloading there isn’t any way to distinguish between the calls. Emailing the calls only worked one time. Ambient call worked a few times but then stopped. There is a list of commands you’re suppose to be able to text to the target phone to make the features work. The commands are not suppose to show up on the target phone where they can see them, but Ive tried it & the person can see the text & none of the commands have worked for me. GPS has worked sporadically. Most social apps require the target phone to be rooted & that is a difficult process that I’m afraid to try. For the most basic spy features this program is working. I just really wish customer service would respond to my questions. I wish I would have read this response BEFORE wasting my money! I agree with you! Ambient recording feature will not work. Target phone has internet connection! That’s the only response I can get from customer service. I am so dissatisfied. I did the free trial. It worked for a few days. Then when I decided to purchase the Premium package it never worked. Until today it has been 6 days since it was updated. My money was taken but no activity. Please refund my money. they are cheaters. The program partially works only shortly after payment, and later a month later it will no longer work! Never buy !!! Worst app in the market. Dont buy it. A big fraud company. Tech support people just send you the scrap messages again and again. No features works. Warning do not buy the subscription. Very bad experience. Automatic answer in the worst customer service you can find. WhatsApp don,t work. I have premiun service but It doesn,t Matter, the service is horrible and the program doesn,t work, choose another one because with this you are not going to have what are you looking for. Is not for the money, Is just because It,s difficult to decide to use one of this apps and once you go on is a pity see that is foto nothing. Is there a way for all of us to come together and file a lawsuit against this company for scamming customers with their fraudulent tactics? DO NOT! I repeat DO NOT use truth spy. Was swindled out of my hard earned cash last year. They never answered my messages. Go ahead if you want to lose $ to them. But im still fuming over my lost money. Smh. I have to record my children in New Orleans by using their phones to capture what’s going on in the “Big easy”.I.E.? Their day to day life experiences. Incognito. IE ~ They,live in New Orleans, Louisiana and I live in Texas. I can’t think of a better way to help them.To hear what’s truly going on and make suggestions about the issues some kind of way by protecting their safety, by communicating with them using this software. To actually hear what they are really up to. Please, understand that they both live in New Orleans La., and I live in Dallas,Texas.Having no contact with them except for their cell phone communication. Well,I can call them. But I can’t pick up their cell phone’s and apply anything.Hands on. To pick up their cell phones, and load anything on them.I want to get it tonight.If possible3 and fills my needs. Same for me. I take already but i cannot. But they get my money already..
A pure disaster. completely waste of time and money. in my case Mr. Joe Allen from help desk replied to me several time…. unfortunately the reply was all the time a copy and past of a standard message with some link to their blog of FAQ. Finally, recording call is a mirage, whatsapp chat as well, sincro every 7 days if you are lucky. the only feature that works for me is the list of contact. Do we need to install any software in the target phone? They have been upgrading for 3 days and still unable to long in I want my days of non-usage to be adjusted accordingly. Dont buy it, they are fraud. Almost nothing works on the app. Waist of money, it like paying for google activity?!! Wich in some cases are better then the truth spy. Looks like I will have to look for TheTruthSpy alternative. Lots of bad feedback. Do you know of any better TheTruthSpy alternative? Thanks a lot ! I had criminals who done a home invasion on my children and are before the courts put this stupid app on my phone (and they didnt have physical access to my phone!) They stole everything,licenses ,bank account details ,log on passwords,all types of personal information, they found out my new address,where my children worked,where my husband worked caused no end of dramas..Luckily Facebook new features where able to give me their ip addresses which where given straight away to police..The app was detained by a new security program put on my phone..Once their charged as we are just waiting for forensics to be completed on a phone taken from one of them I’m coming after you ! You put my whole family and kids in so much danger!!! I hope it was so worth the money these criminals paid for this stupid things because it’s going to cost you a hell of alot more !!! Worst app ever paid for the premiem and it still says my license is going to expire soon and to renew it!!! Waste of money!! Doesn’t work at all!! 1 How to Download and Start Using TheThruthSpy? 3.1 How TheTruthSpy Monitor Application Works?